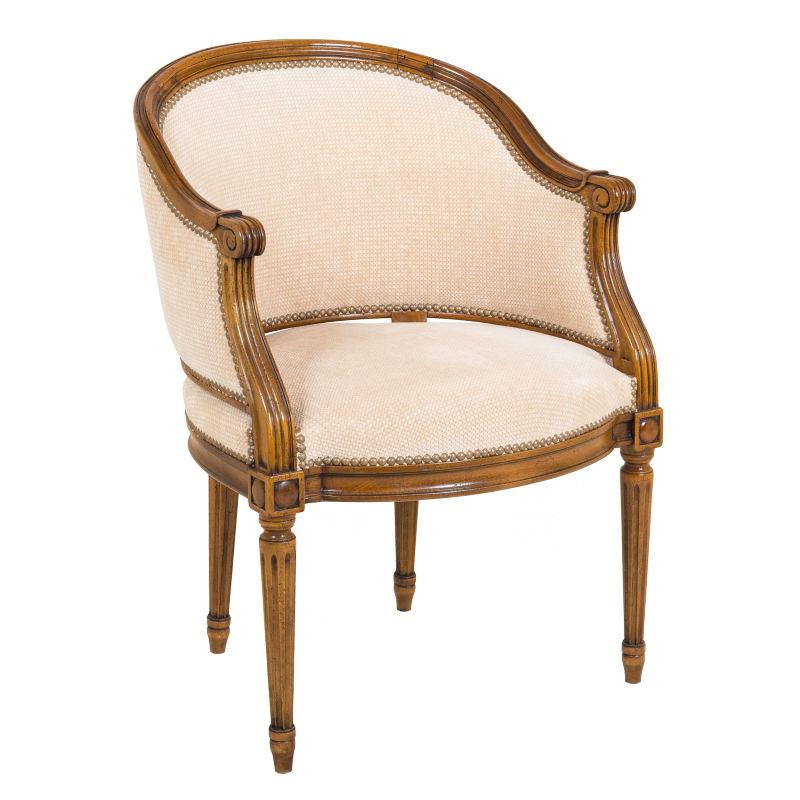 Louis XVI Desk chair "Couturier"
Graceful desk chair with turned and fluted arow feet, whiplash arm-rest supports and scrolled hand-rests. 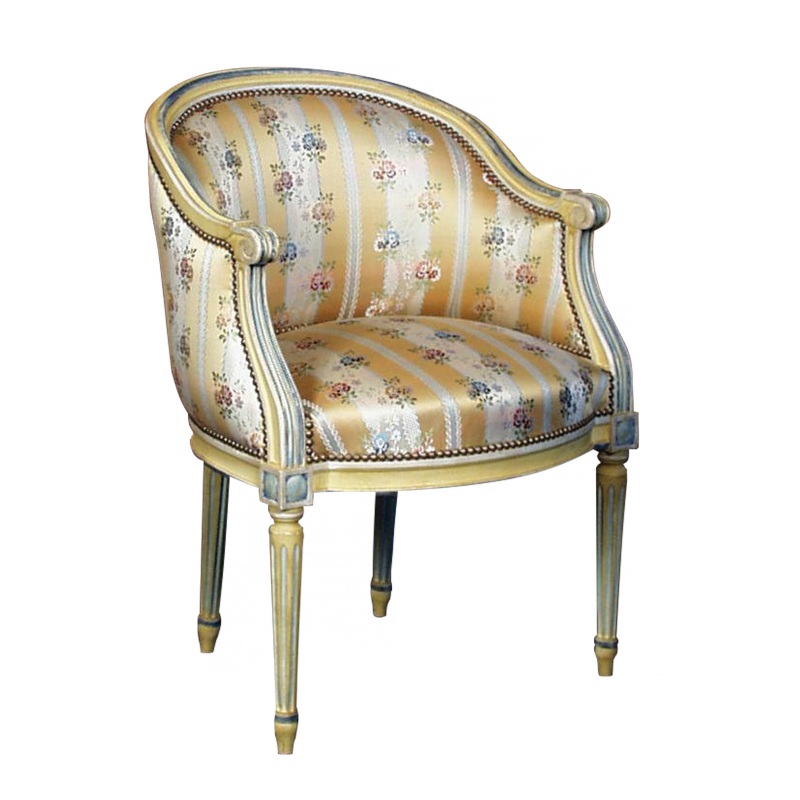 Traditional steel sprung upholstered seat. 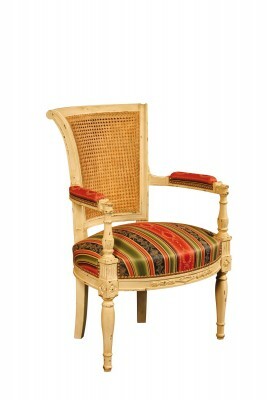 Back rest may be upholstered or in wicker. 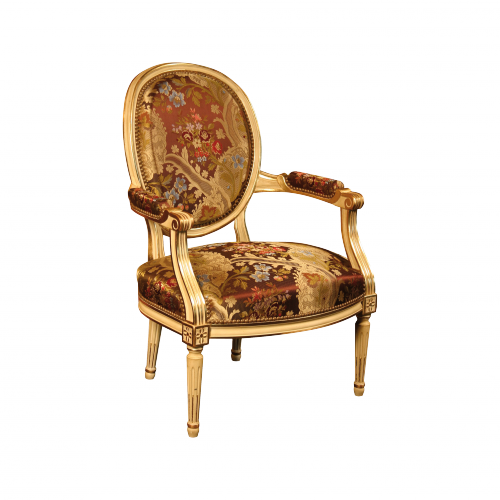 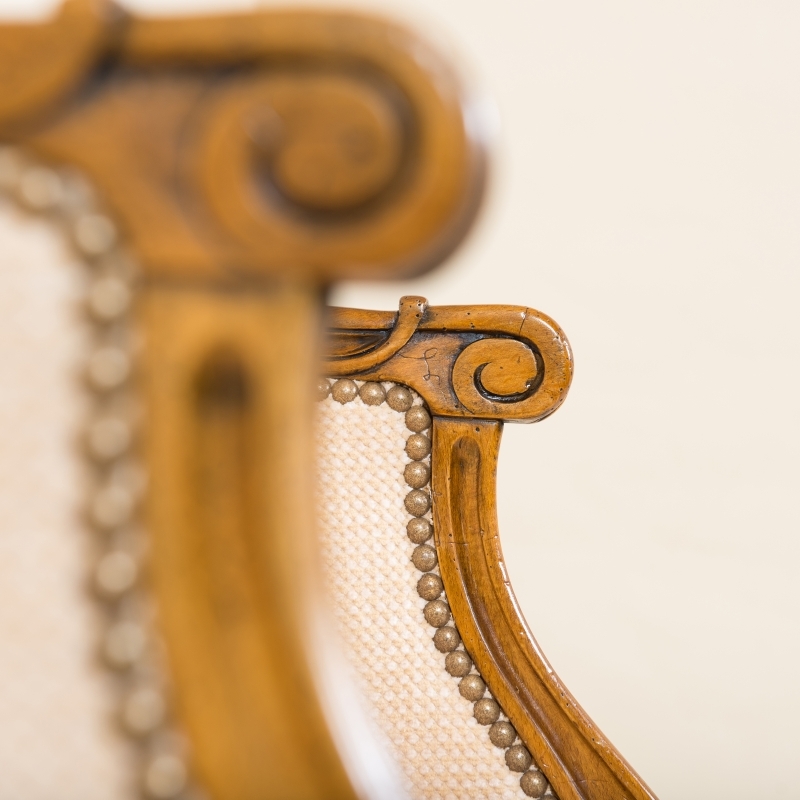 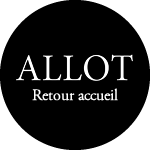 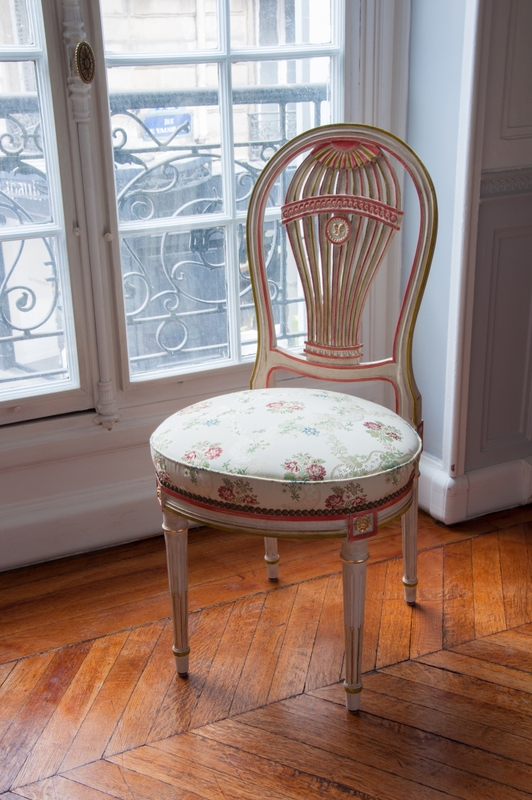 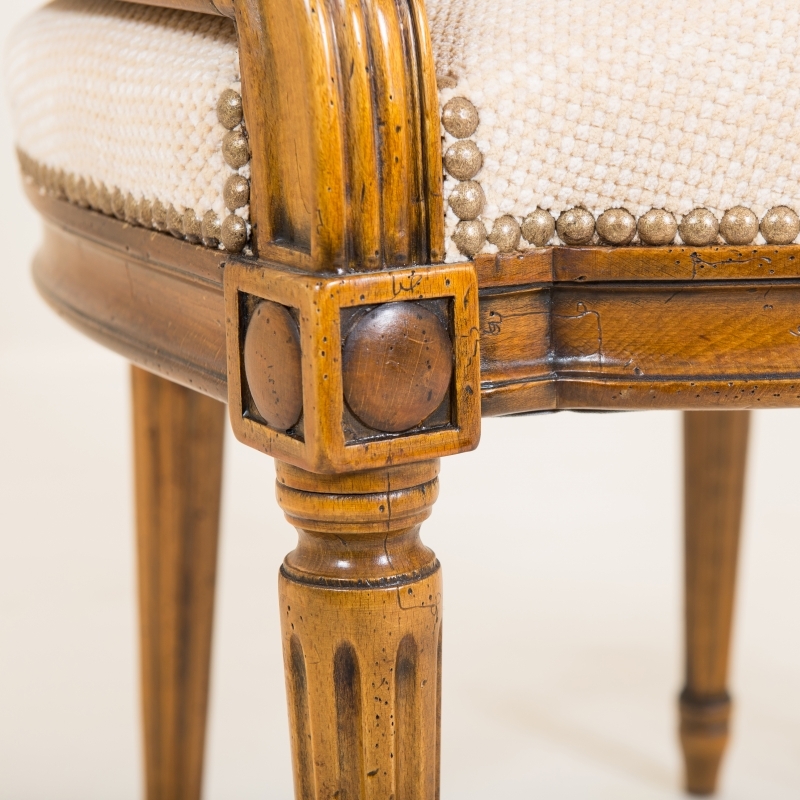 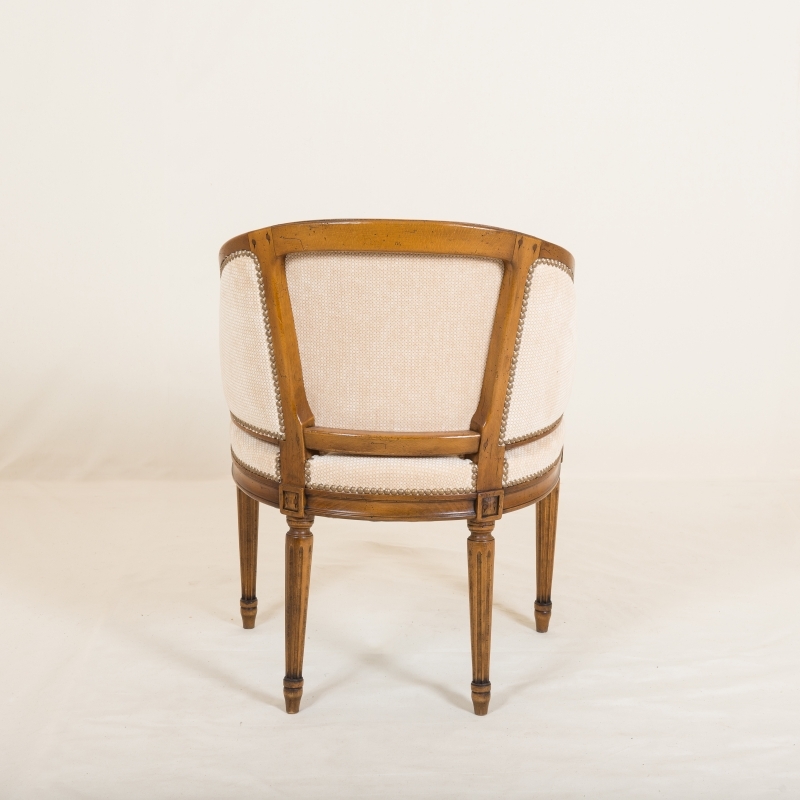 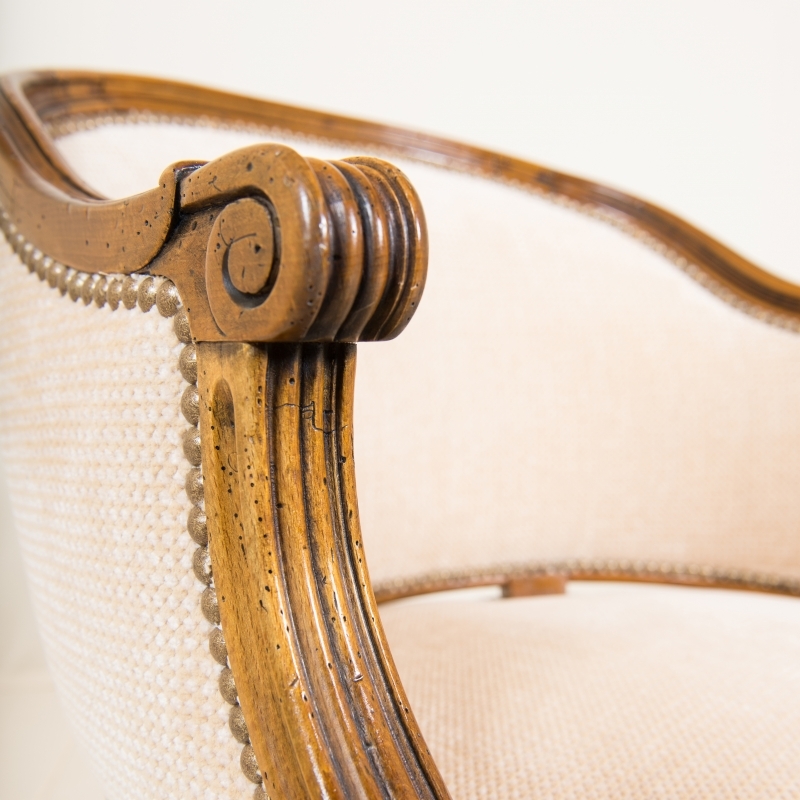 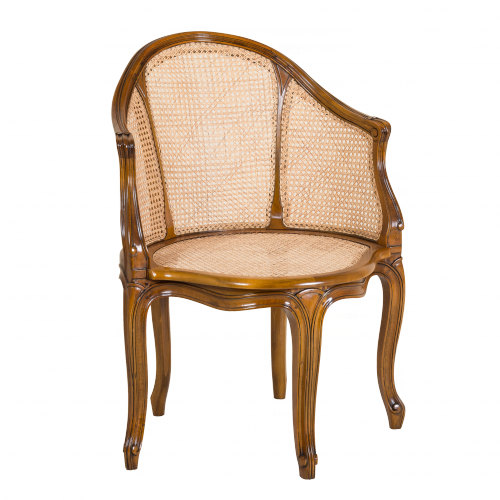 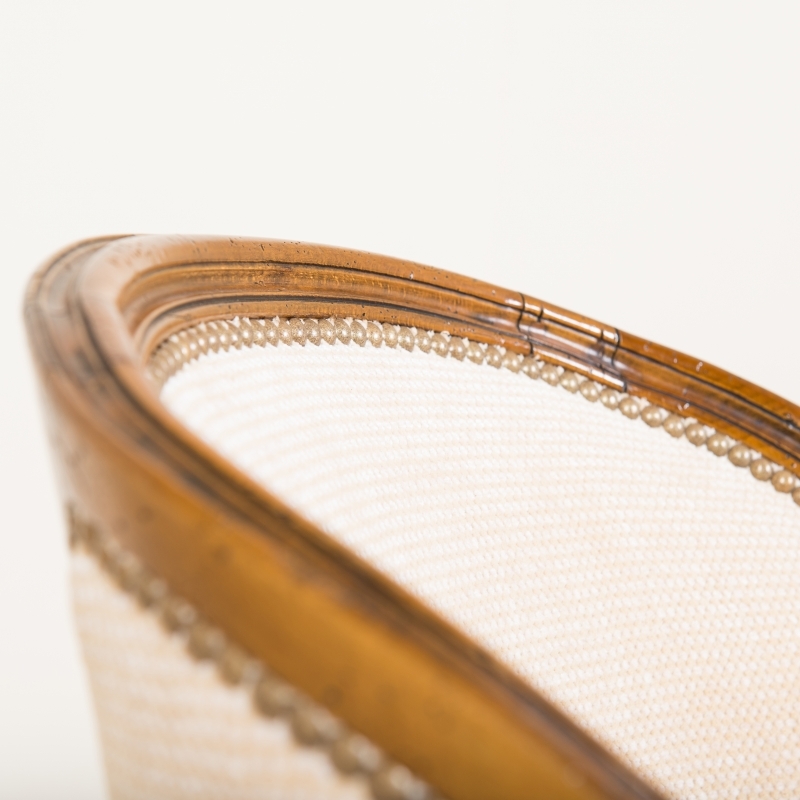 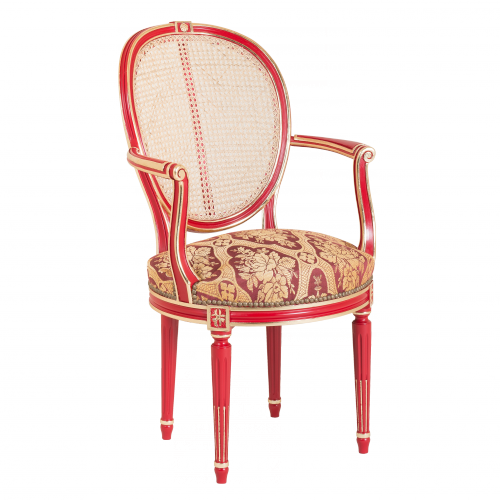 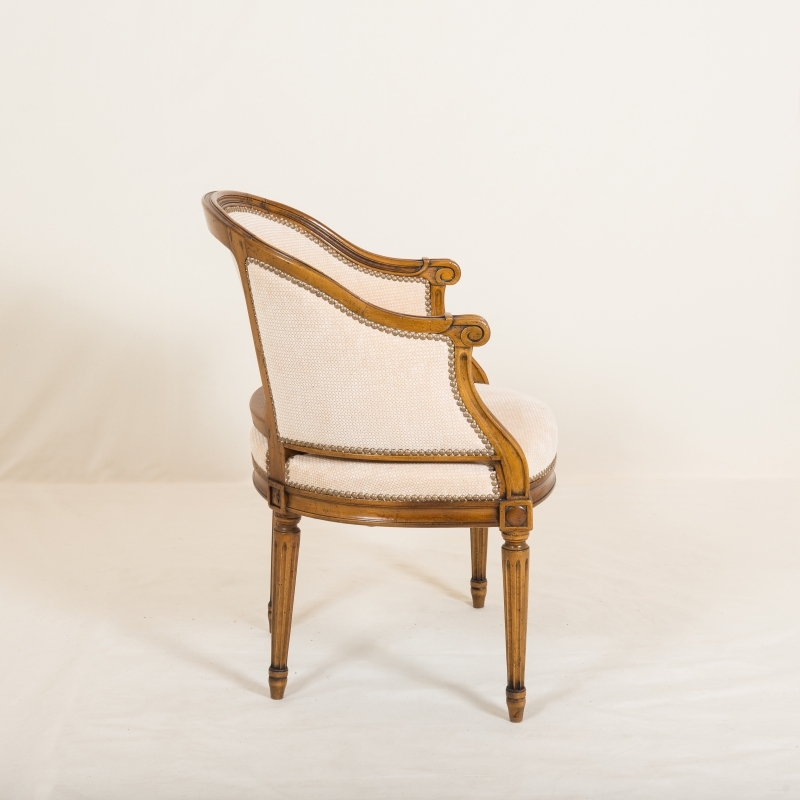 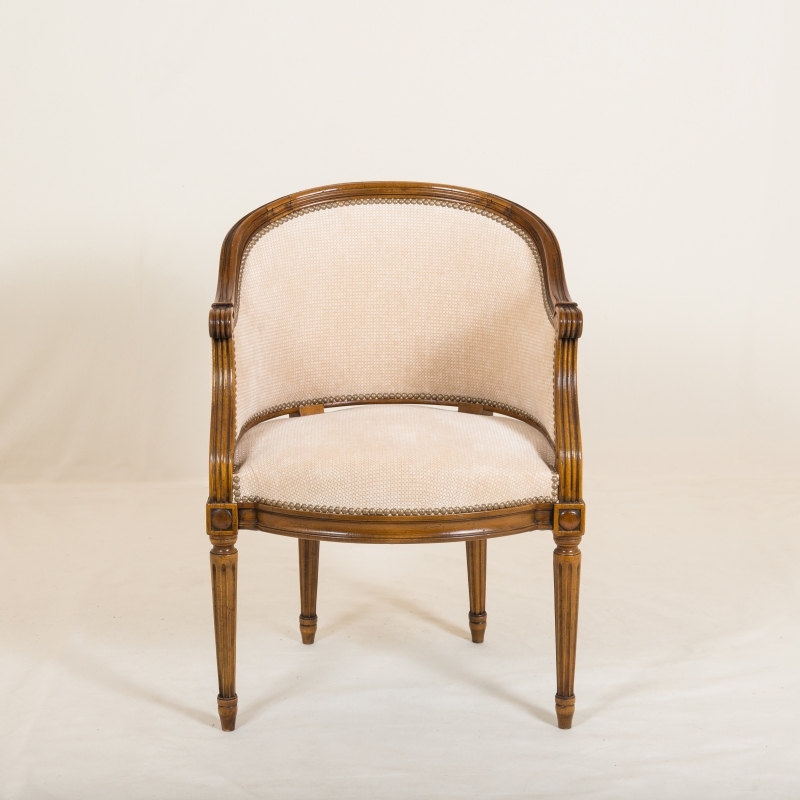 Small Louis XVI Armchair "Rhénon"